Changdao County is located in Yantai Prefecture, an area included in Shandong province in the People's Republic of China. 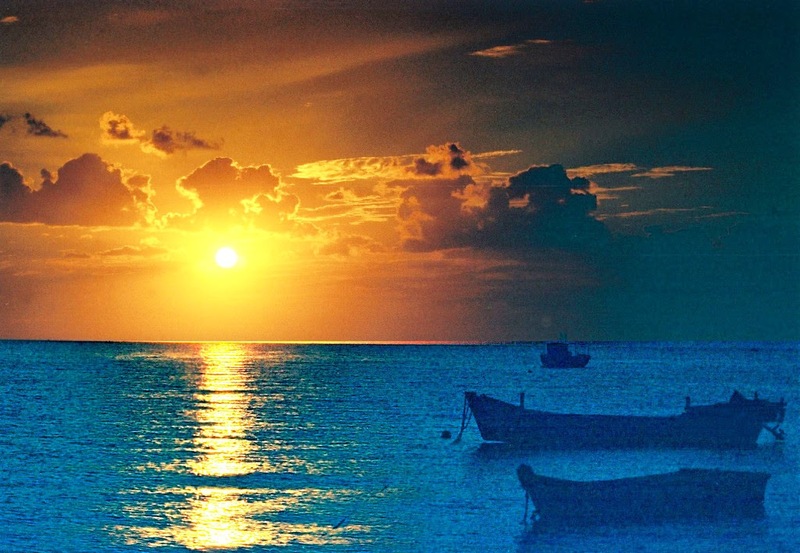 It is an archipelago, consisting of 32 small and medium size islands. There are twenty two islands uninhabited and ten islands are occupied and having lot of activities. The largest town is Touji Town with a population of 8,495 people. The total population of the county is 52,000. The county is having a large coastal area but the total land area is only 56 square kilometers. The island is extremely beautiful with picturesque location and very famous for limestone cliffs. The pristine beach is a paradise for beach lovers. The Birds Island is a treasure of birds from various species and their nestling and character of group movement are wonderful experience to watch. Tourists are advised to carry binoculars to have clear of birds and observing their activities more clearly. When you move to Daheishan Island you shall be welcomed with various types of snakes. Moving to yet another island, you can find lot of bamboo trees in Zushan Island. It is again a thrilling experience to watch the rock serried Huoji Island. It is a unique experience to observe the identical differences of each island. South Changshan Island, North Changshan Island and Temple Island are the most populated islands. Tourists visiting the islands definitely move to Changdao Island to watch the mirage phenomenon happens in July and August after the rain. This is another hilarious gift by the nature; one should never miss to watch. The inspiring proverb, “the fairyland on the land" is by all means well crowned to the beautiful cluster of islands. 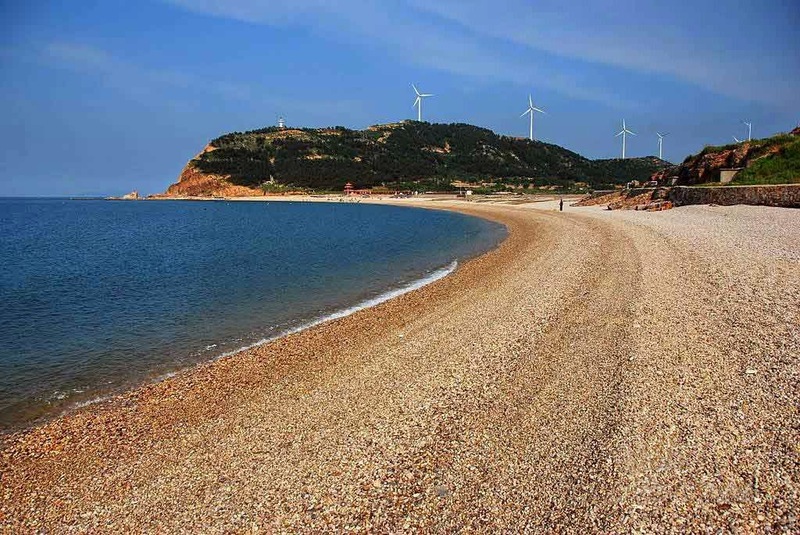 Changdao Island was not fully opened for international tourists till recently. Non-Chinese tourists were turned away in the same boat to Penglai. The excuse for this action by the island police is due to the presence of sensitive military installations. In 1st December, 2008 the visit restrictions are removed and all nationals are allowed to visit and engage in to leisure activities in the island. 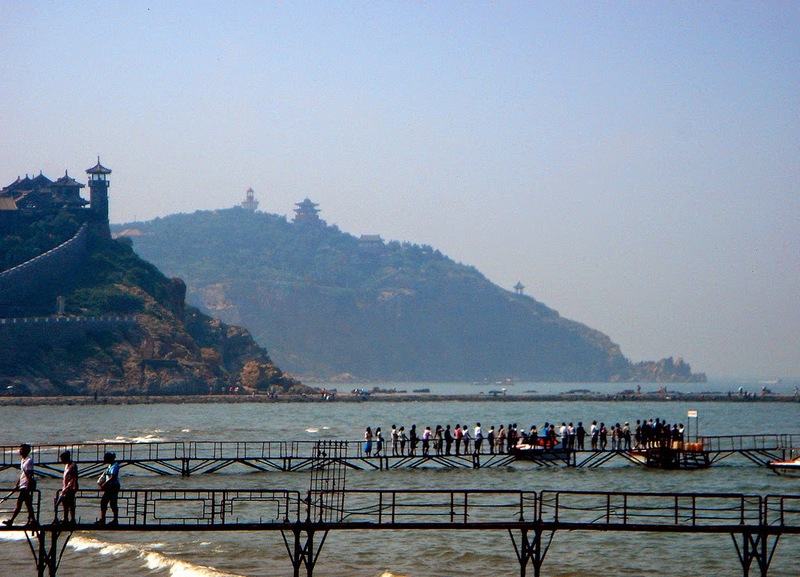 There are frequent ferry services are available from Penglai to the various islands. 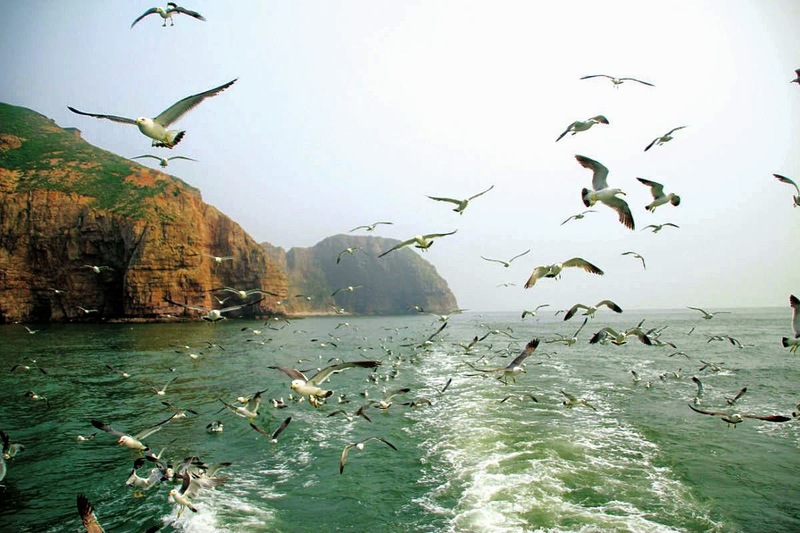 The major tourist attraction are Changdao National Forest Park and Changdao National Nature Reserve area in the island is connected through a cross Bohai Sea flyway. As the name denotes, Temple Islands is having the largest number of temples in the island. The Xianying Palace is beleived to be constructed during the Song Dynasty in 1122. 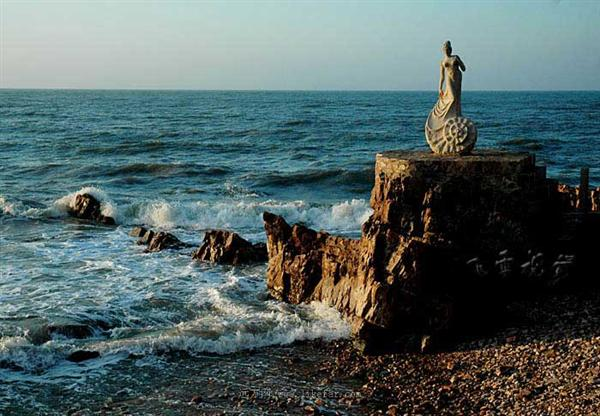 It was a Taoist temple worshipping sea goddess Mastu and later converted to a Buddhist temple. Renovation has re-created to the temple to look like that of Ming Dynasty features. The island is located between the Liaodong Peninsula and Jiaodong Peninsula. Changdao islands has its own identity features, stunning sceneries, magnificent rocks, amazing tour location, pristine beaches, half moon bay, the Wangfu Rock, the Jiuzhang Cliff, the Changshan End, the Pagoda Rock, the Dragon claw Hill, the Forest Park, the Daheishan Island, the Birds Island, the Temple Island, the Mituo Rock, the Boundary Memorial of the Yellow sea, Bohai Sea and the Birds Exhibition Center are equally competing to one other. 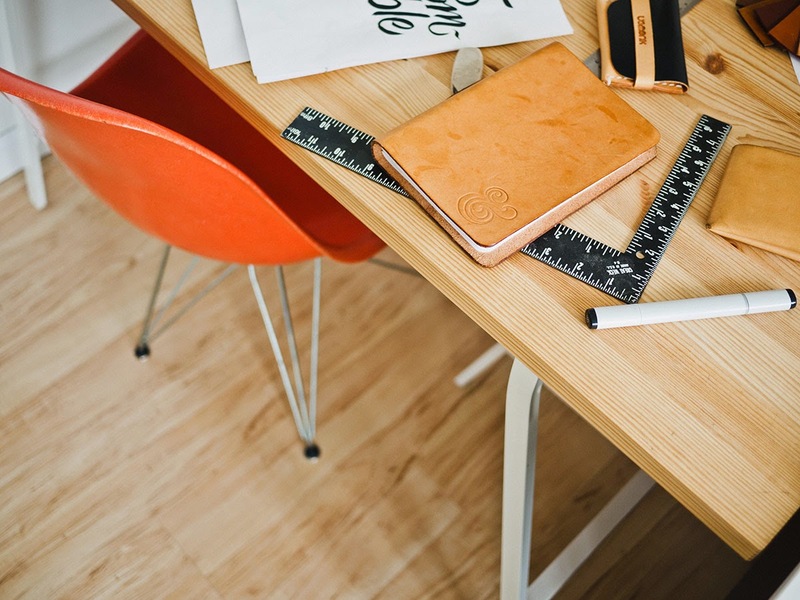 Considering wide array of visiting opportunities, tourists need to meticulously plan their travel trip to this wonderful archipelago.